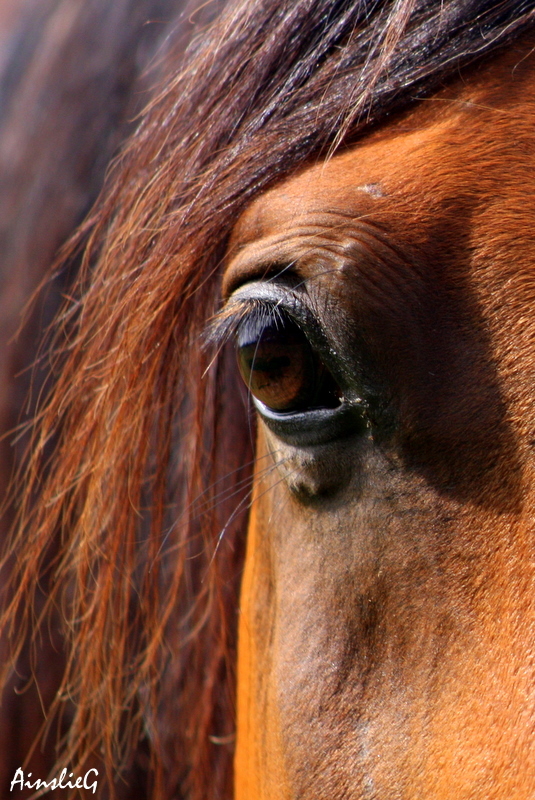 Are Your Horse’s Emotions Making Him Sick? Do you ever wonder what your horse is really thinking? Is he happy, sad, frustrated, or angry? Or are suppressed emotions affecting him in a negative way? It is often at that moment in training when we feel we have finally convinced our horse to see things our way that the real problems start for your horse. As long as a horse is free to express who he really is he is happy, but when he is forced to adapt totally to his person’s agenda his physical and emotional health may suffer. Traditional Chinese Medicine (TCM) has a term for the state brought on by suppressed emotions. It is called Liver Qi Stagnation. In TCM, the Liver is responsible for the smooth flow of Qi, or life energy, in the body. Suppressed emotions, such as grief, anger, jealousy, or resentment over time can cause this Qi circulation to be blocked. Don’t get me wrong, I am not saying that a horse doesn’t have to behave or should never be asked to do something he doesn’t want to do. What I am saying that is we should honor the horse’s temperament, and meet his emotional and physical needs as much as possible. What Does Liver Qu Stagnation Look Like? So what does Liver Qi Stagnation look like and how can it be avoided? It can look different in different horse temperaments and have many causes. Here’s how it looks in each of the five Horse Harmony Temperament Types. In the emotional Fire horse quality time spent with his or her person is very important. Liver Qi Stagnation is often brought on by feelings of abandonment or jealousy. 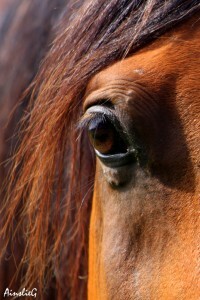 In the Fire horse mare, symptoms often show up as hormone imbalances and painful ovulations. Cystic ovaries can develop causing severe pain and tightness in the ribcage. Fire horse gelding are less likely to be hormonal but can still have tightness in the ribcage which affects their ability to be supple. The Earth horse likes food and attention. He is not overly ambitious and prefers his world to be orderly and relaxed. Excessive pressure from a heavy training or show schedule can shift the Earth horse into Liver Qi Stagnation. Digestive upset is often the result and indigestion, stomach ulcers, or diarrhea can become chronic. The Metal horse does best with a steady job and he is happy to do hard, satisfying work. Learning too many news things at once can confuse a Metal horse, especially if he does not understand exactly what he is being asked to do. Liver Qi Stagnation in the Metal horse often shows up as diaphragm issues. He may hold his breath, especially when being saddled, and become braced when being ridden. If a Metal horse is forced through his brace, he may react by bucking. He is not trying to misbehave but finds this is only avenue to release his tension. Other efforts to release the tightness in his diaphragm include repeated sighing and even hiccups. The Water horse is also emotional but seeks safety over affection. A Water horse also releases tension by moving his feet. If movement is taken away from the Water horse he can become overly reactive. If punished for his reaction he can suppress his emotions and become depressed, moody, and unpredictable. Trust is critical for the Water horse and until he can regain his confidence and believe that he will not be hurt or frightened, he will not work to his potential. The Wood horse wants excitement in his life. He loves to learn new things and be challenged in his work. When the Wood horse is chronically bored he can quickly go into Liver Qi Stagnation. This will look like tension and overall tightness. Riding a Wood horse that is in a stagnant state can feel like sitting on a keg of dynamite. Avoiding the conditions that lead to Liver Qi Stagnation, or “emotional” sickness, is the very best approach, but not always possible. The flower essence called Life Changes can help the horse deal with past experiences and let go of old suppressed emotions. Unfortunately, palliation of symptoms may be needed when less than perfect conditions are unavoidable. Feeding according to the temperament type can go a long way in supporting the horse. Specific feeding directions for specific issues are discussed in the Five Element Feeding Guide. Based on my experience, I have come to believe the emotions of the horse do affect his health much more than we realize. This is why our best feeding programs sometimes fall short in preventing health issues, but nutrition and certain herbal products do help and should be used when needed to keep the horse as healthy as possible. Welcome to the Launch of our New Website and Blog! The vision for our website and blog is to connect each of you with the information you want to help your horse(s) live an extraordinary life. This website and blog was inspired by the passing of my beautiful mare, Melody Joy, A Song of the Soul who left the earth on January 21, 2010. She asked us to help each of you who provides love and care to her herdmates, and so this site has now come alive! It is our goal to give you timely information, recommendations on holistic healing methods, and put you in touch with natural horsecare practitioners who can answer your questions. We will publish articles, conduct interviews, research various healing methods and share some of our own experiences in horse health and wellness. Our founders, Linda-Ann and Faye will continue to search out the latest and greatest ways of giving our horses the lives they deserve. In the meantime, please do click on the link for your fr*e gift, and subscribe to our blog. That way you won’t miss out on any of the words of wisdom that this site will publish. Your fr*e gift was provided by working with many horses over the past few years. This is what they truly want you to know, and to begin to practice with each of them. We are VERY excited about launching this site. Please keep in touch with us and let us know what you want to see us research and provide to you and your horse! Our sister site http://www.unbridlinghumanpotential.com/ will provide information on women’s empowerment programs so don’t miss signing up for our newsletter.